Apple are having a conference on Tuesday, which means a new device is imminent. What this also means is a new set of adverts proclaiming why the new device is the best thing since sliced bread (or the last iPhone at least). The success of the adverts has led to a few parodies, including the Somersby cider ad, taking a dig at the Apple store experience. 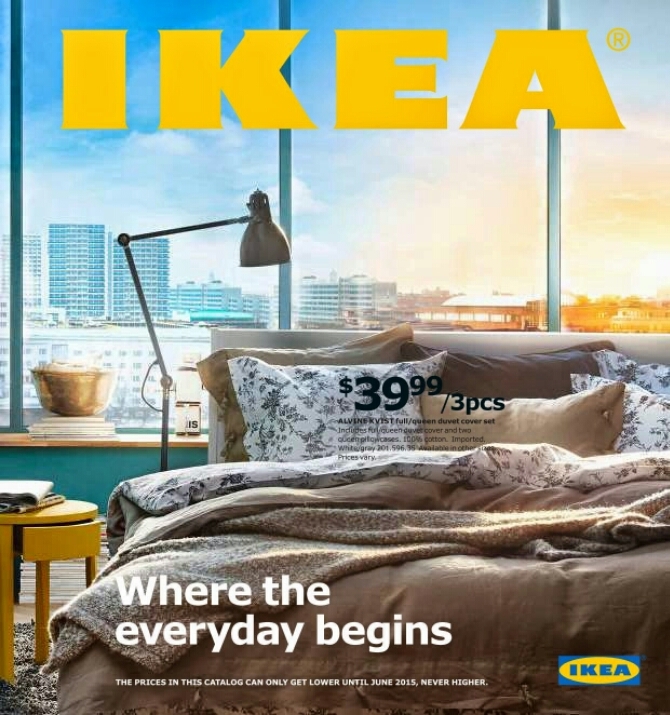 Now Ikea have joined in the fun – announcing the BookBook, also known as a catalogue. The advert highlights some of the benefits of the BookBook whilst taking aim at the rise in tablets and smartphones for browsing online and researching DIY projects. The chief design guru lists some of the key features including the size, the unique sharing method and how easy it is to bookmark pages. The BookBook boosts completely wireless technology and an infinite battery life, and my favourite line “notice something else, that’s right…… no lag”. Whilst this isn’t the first time this sort of thing has been done, including Horrible Histories, it is well timed and is a very good parody in my opinion. It does a good job of putting the spotlight on the distinctive style Apple have in their adverts of highlighting one particular feature of a device. However, Apple do very well with it, compared to other manufacturers making rather naff adverts or throwing so many features in that the overall message is lost.